„Make Some Noise“ is packed with huge hooks, giant, intense guitar riffs and glorious, distinctive vocals. It celebrates the kind of classic rock‘n’roll that has gone from strength to strength ever since it emerged in the early 1970’s and that sweaty clubs, concert halls and stadiums the world over would be impossible to imagine without. Each of the joyously performed, perfectly crafted, melody drenched 12 songs instinctively aims straight for the centre of the listener’s autonomic nervous system, totally enveloping the heart and soul and compelling them to move to the irresistible rhythm. “For me as a vocalist, this kind of high caliber line-up is an absolute dream come true” enthuses John Corabi, continuing “When you work with The Dead Daises, everybody is amazingly motivated to deliver top performances”. From blazing opener ‘Long Way To Go’ (the first single and soon-to-be crowd favourite) onwards, this album rocks hard right through to the very last note. Cross references from legendary bands from the past feature just as much as highly contemporary sounds and trendsetting directives. Compositions such as ‘Mainline’ and ‘Last Time I Saw The Sun’ bring to mind the likes of Aerosmith and Mr. Big, while ‘Song And A Prayer’, with its fluid guitar licks and anthemic chorus, is mightily reminiscent of Guns ‘N’ Roses. ‘Make Some Noise’, the title track itself, is nothing less than a self-confident, tongue-in-cheek rousing rock statement, bound to be chanted over and over by euphoric audiences at this consummate combo’s electrifying live gigs. 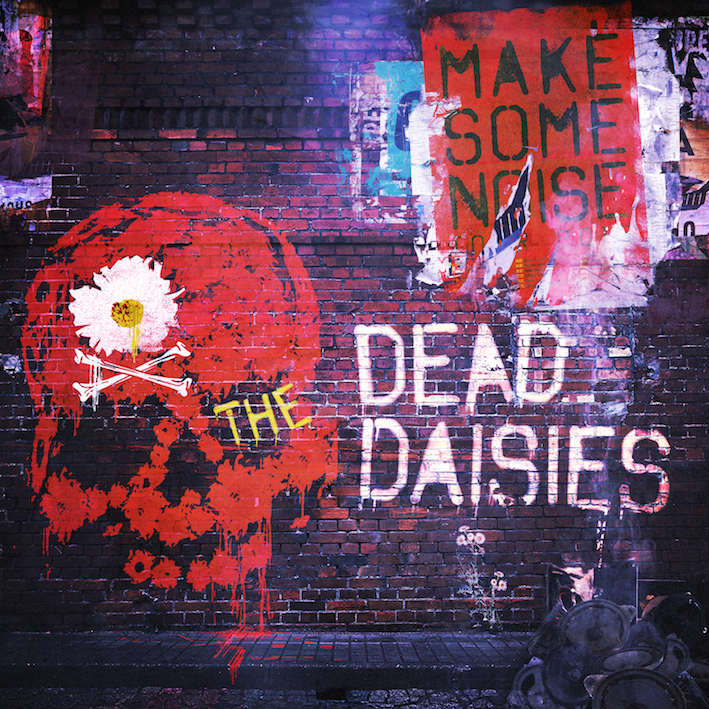 „Make Some Noise“, which was superbly recorded and produced by Marti Frederiksen (Aerosmith, Def Leppard, Mötley Crüe, Buckcherry) in Nashville in February and March 2016, contains ten originals plus two inspired new incarnations of The Who’s ‘Join Together’ and Creedence Clearwater Revival’s ‘Fortunate Son’. Don’t miss the chance to catch the biggest new name in Rock on tour this summer in Europe, the US and Japan. Please check the tour dates here.